Summit Engineering is an industrial company that pushes boundaries in design development and manufacture of state of the art electronics. The company founded in 1993 by Eddy Berger who previously worked as a key engineer at Philips Electronics. All our products are developed, assembled and fully tested in our factory in Sint-Truiden. Over the years we have selected a number of local, highly specialised subcontractors that help us with production. Our regular investments into machinery and logistics allow us to be very competitive, whilst maintaining Belgium based manufacturing and quality standards. 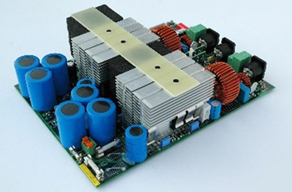 Electronic Power Supplies (110/220 VAC to 12/24 VDC) with very high efficiency and output currents. Battery chargers and battery backed up power supplies. High power Digital Audio Amplifiers. 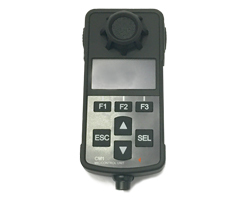 Digital Audio and Control Data transmission. Acoustic simulation and acoustic product design. 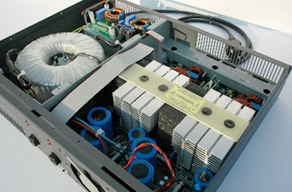 We focused initially on OEM development and manufacturing for the PRO Audio industry, specialising in sound processing, power supplies, high power classD amplification and DSP signal treatments. 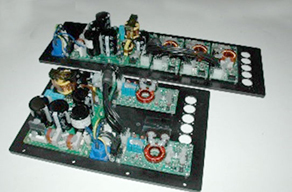 We also designed 100 V versions of our amplifiers to meet the requirements of the Public Address market. 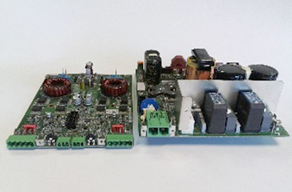 As leaders in the development of High Power Amplification and Signal Processing modules that integrated into active speakers, we were amongst the first to deliver a 3000 W fan-less module that provided exceptionally efficient driver protection. 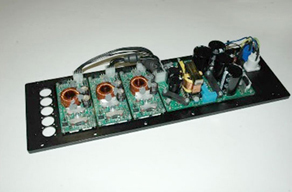 Summit Engineering has sold close to 100 000 amplifier modules through several well-known European manufacturers brands. Acoustic design has always been a passion for Summit engineers. However, unlike some audio enthusiasts, we always take a scientific approach to our design and manufacture. Combining years of experience in acoustic simulation and live measurements we’ve become experts in horn design and manufacture. Our passion for acoustics coupled with our design and manufacturing expertise culminated in our new Acoustic Hailing Devices (AHD) product range, which will be marketed under the Stentor™ brand. 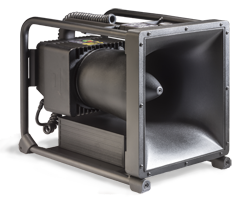 In comparison with conventional megaphones, our Acoustic Hailing Devices are much louder (15 to 20 dB more Sound Pressure Level). They have a much longer range (up to 1500 metres), and increased directivity. Benefitting from a broader audio bandwidth, we provide better intelligibility. This enables the targeted audience to understand the messages even in extreme noise polluted environments (shouting crowd, fire events…).